LinkedIn has always been the industry standard when it comes to marketing yourself professionally, but the past few years have seen the social network’s importance and reach increase dramatically. TechCrunch reports that LinkedIn has roughly 187 million unique visitors per month, and that number looks like it’ll continue to grow. Similar to sales, the time you need to make a sale is not the first time you call or email them. They need to trust you. They need to see you. Going further, Brian believes that the only thing people like more than seeing someone tweeting or sharing things they love is when you engage with that audience and provide personal interaction. This actually speaks a lot to another piece of advice I got from our next expert. While there is no denying the effectiveness of a more personal approach, LinkedIn has recently become more than a networking tool. The past few years have seen Linked grow from a job-hunting, and resume site into a publishing empire. So how can marketers or professionals leverage this increasingly important aspect of LinkedIn? With Pulse open to everyone (not just influencers), it’s a massive opportunity to expand your reach. This is not just a hunch either. Howes shared that he’s “seen a big bump in traffic and leads from this alone” and assured me that this would be the most effective way of reaching a larger and more targeted audience on LinkedIn in the coming year. Looking at the current trend of LinkedIn’s updates and acquisitions, Howes’ prediction feels spot on. LinkedIn has already gotten hundreds of millions of users accustomed to networking on the site, and now they hope to build that same familiarity with consuming and creating content. The ability to get in on the ground floor of this kind of change is too good for marketers to pass up and should not be ignored. The previous advice has all concerned committing to continuous and sustained interactions with your professional network, but sticking to so many initiatives at once is difficult. Alex Pirouz, a serial entrepreneur who founded Linkfluencer.com, offers a bit of sobering yet crucial advice. His advice is dead simple, but so often overlooked. “My top tip to anyone looking to use LinkedIn as an effective marketing tool is to first create a clear plan on what they’re looking to achieve from the platform.” Drafting a plan requires: “looking over [your] marketing objectives over the next 6-12 months, identifying the target market [you] would need to connect with in order to achieve those objectives and then building a LinkedIn profile that resonates with this audience.” Just like you wouldplan your editorial calendar, you should plan your LinkedIn posts. Not having a plan is the number one reason businesses aren’t using LinkedIn to it’s full potential. Most people have no idea of the impact SlideShare can have on their LinkedIn marketing. Besides being, as Bert refers to it, the “YouTube for Powerpoint,” he told me that “Slideshare links index brilliantly well, often ranking higher than LinkedIn or Facebook.” As if this was not reason enough to embrace the platform, LinkedIn purchased Slideshare in 2013 and has since offered substantial integration capabilities. In other words, Slideshare helps your profile become more visible not only by putting you higher in search rankings in the search engines and LinkedIn, but by providing engaging content your potential audience wants to see when they do reach your profile. Talk about a win-win scenario. Neal Schaffer is the author of the excellent LinkedIn book Maximize Your Social as well as a social media coach, consultant and trainer. His recommendation for professionals looking to maximize their LinkedIn presence is to take advantage of long-form publishing. Neal points out that “LinkedIn opened up their blogging platform to all users in 2014, but very few have taken advantage of being a part of the LinkedIn publishing empire.” Sure people have taken to posting some content, but the efforts of many users are scattershot or lack-luster short-form posts. Instead, Neal believes LinkedIn should be treated like a full-fledged syndicated blog. If you are only blogging on your corporate blog you are missing out on the opportunity to get your content in front of eager eyes on LinkedIn. As LinkedIn positions itself as a content platform, the benefits of embracing a content-centric strategy will become more and more pronounced. Stay one step ahead of the curve by creating engaging, rich, long-form content. He continued, “They have other social networks on there, but LinkedIn is THE professional networking site. When I want to size you up professionally, that’s where I go.” While it’s certainly easy enough to find someone on LinkedIn, John is right that the additional step to make people go through is an unnecessary barrier between connecting. Don’t be shy about calling out your LinkedIn profile. Put it on your email, business card, etc… – anything with your name on it, your profile should be there too. 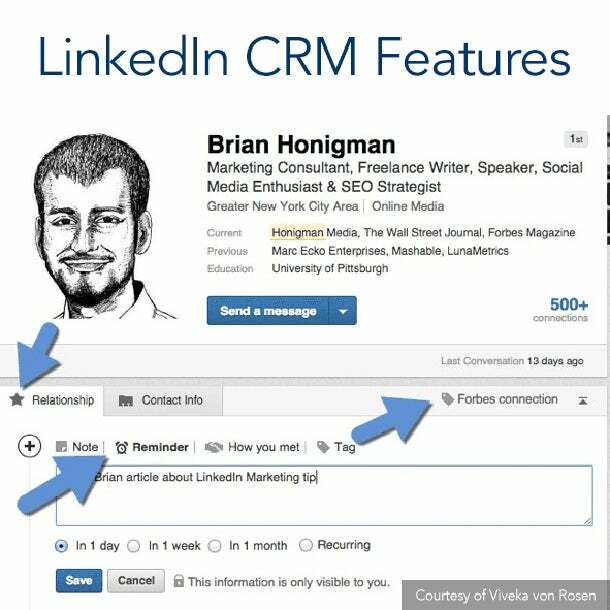 Especially for people working in sales, John feels that having a LinkedIn profile link in email is such an easy, effective opportunity to connect that people miss all too often.